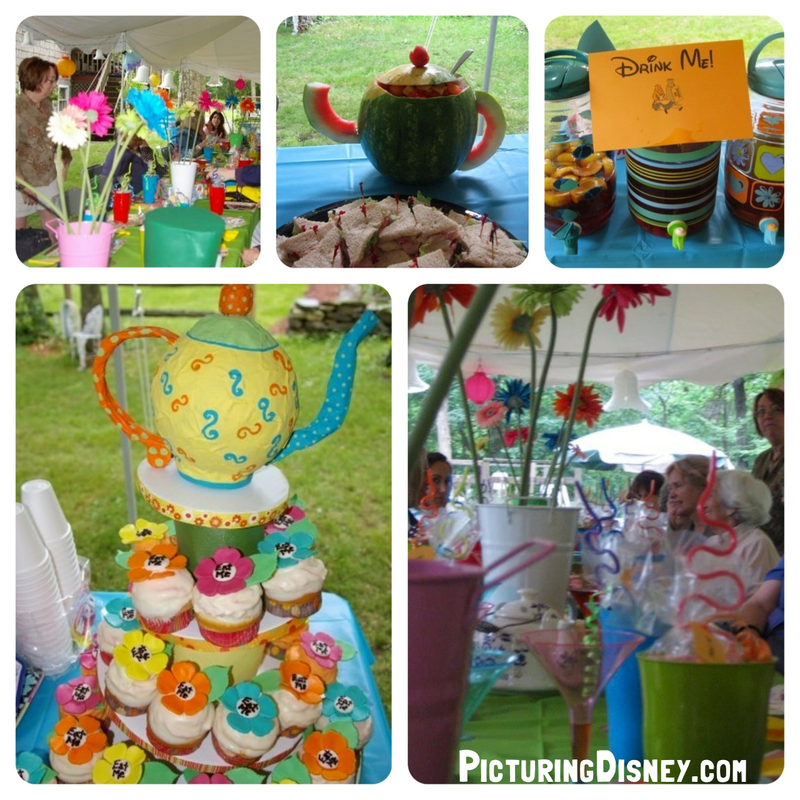 Picturing Disney: Alice in Wonderland Themed Baby Shower Games! Welcome to those of you joining me from Return to Disney and those of you just hopping aboard. I am the 4th stop on our Magical Blogorail. I will be exploring the games and activities at this virtual Alice in Wonderland themed baby shower! My bridal shower was the Mad Hatter's Tea Party. I love the idea of little games to play at a shower. Here are a few of my favorite shower games. Aren't the cupcakes from my shower amazing? Put a little sticker under each cupcake (one or two should be different from the rest). The winner gets a prize. You can also make personalized tea bags and pick a certain color to be the winner of another special prize. Bingo is the ultimate shower game. You can have gift bingo with some fun tea related items as prizes. To play, give each guest a Bingo card with most squares left empty. The middle square and the four corners should have gift items filled in. Some great Alice ideas for the free middle square "Who is your favorite Wonderland character?" For some of non-gift squares "Find someone who was late for this very important date and write in their name" or "What year did Walt Disney studios release their animated version of Alice in Wonderland?" The trivia always gets people talking. Before opening gifts have guests fill in each empty box with a gift you think the bride or mama to be will receive. Thank you for joining me today. Your next stop on the Magical Blogorail Loop is Disney on Wheels.